In 2018 The Wall Street Journal and Real Trends ranked Kyle and his team the #71 residential real estate broker in the nation, with sales volume of $210 million. B.S. in Business Administration with Marketing and Management concentrations from the University of South Carolina. Kyle is a patron of Asia Society, Alvin Ailey American Dance Theater, Harlem Village Academies, Carnegie Hall, and The University of Virginia’s Curry School of Education. 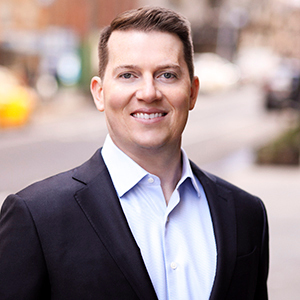 Kyle has the distinction of being one of the most accomplished and successful brokers in the Manhattan real estate industry. Since 2003, Kyle has sold over of $1.8 billion, of which approximately $650 million was in 15 Central Park West. He is immensely committed to serving his clients and does so with integrity, discretion, and careful research. Kyle leads a team with 3 capable professionals. He was ranked 22nd in the country out of 2 million agents in 2017 by the Wall Street Journal, and 5th in New York City out of 30,000 agents. In 2016, he achieved $205 million in sales volume at an average price of $10,700,000. At his previous firm, Brown Harris Stevens, Kyle was recognized as the #1 broker in 2012. He has a proven track record of delivering results for sellers and a strong referral network of global and domestic ultra high net worth clients. Kyle was raised in Virginia. His father was a real estate agent in North Carolina for more than 25 years. He considers it a great honor to carry on that tradition by being of service to his clients. He earned a Bachelor's Degree in Business Administration with a concentration in Marketing and Management from the University of South Carolina. Outside of Real Estate, he enjoys studying Asian history and culture. He is a patron of the Asia Society, Alvin Ailey, Harlem Village Academy, Carnegie Hall, and UVA’s Curry School of Education. Kyle enjoys competitive open water swimming and has completed recent swims for Charity in Hong Kong and Hawaii.